Invite Elvis to your next party! 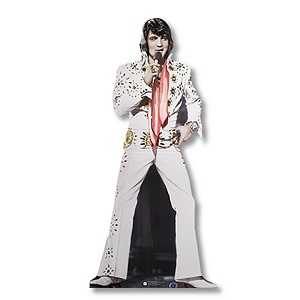 Perfect for celebrations or just everyday companionship at home or the office, this life-size, free-standing Elvis features a sturdy cardboard construction. Easy set-up; store flat. Wonderful. I liked so much. Shipped very fast! !